Well, it has finally washed ashore here in the U.S., a tungsten filled 10oz. bar turned up at a jewelers shop in Manhattan yesterday. This bar by the way was purchased from a respected metals dealer and even had paperwork to match the serial number on the bar which was purportedly originally fabricated in Switzerland. 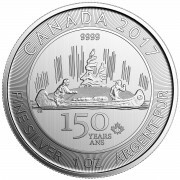 This tells me one thing first and foremost, if you are purchasing metal, do it in coin form as they are much harder to counterfeit. It is also reported that the FBI is investigating this incident. I find this strange because our “printer in chief”, Ben Bernanke has said under oath that “Gold is not money”. So…if it’s not money…then who cares? One also must wonder if this is some sort of false flag event to try and slow the purchases by the public through the fear of counterfeit, sorry but my mind works this way after seeing every other dirty trick in the book used over the last 15 or more years. This event now brings us one step closer to questions being asked about the ETF’s and ultimately sovereign treasury holdings. As a side note, Jackass Harry Reid is apparently going to pocket the Bill forwarded to the Senate from the House calling for an audit of the Fed. Did you really think anything different would occur? No matter, the Fed put a fully loaded gun to their own head last Thursday with QE3.5inity, it matters not what dirty deeds they have already done because they ARE already done. They will destroy themselves with or without an audit. If they already pulled a $16 trillion sleight of hand back in 2009, to what lengths do you think they are capable of now? On another note, Cluff Gold has signed a memorandum of understanding with Samsung (Strategic Alliance between Cluff Gold and Samsung). What the heck does this have to do with anything? Well…if you think it through, this is HUGE news. A major industrial company is funding/partnering with a mining concern. This is the very first deal of it’s kind where a non mining concern or bank has shown an interest in mining. For whatever reason (and there could be several very good ones), capital from outside the industry is now entering. Now, the oh so famous shorts in the mining shares are screwed to the wall. They have built an entirely outsized position in an illiquid industry and thus “painted” the charts negative until recently. The moves off of the bottom have been in the 30+% range already and the weekly charts have just recently crossed over to bullish readings. 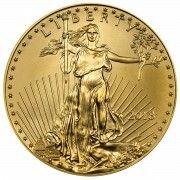 This year in particular there has been much debate as to whether you should own shares or the metals themselves. Many advocate 100% metal (no one that I know of advocates 100% shares) and had pointed to the share action as proof of their wisdom. This is now changing as the shares have outperformed solidly for 2 months now. I know, 2 months does not make a trend but a trend does have to start somewhere and it is my opinion that in fact the shares did hit a transition point and will outperform from here. I have always advocated having both, physical metal and shares in some ratio but that your metal be considered your “foundation”. As with a house, the “foundation” is built first and thus physical metal purchased FIRST before the shares. I say this because in a financial breakdown, your shares will not immediately help you whereas the metals will always “spend”. That said, assuming that the system does in fact “reboot” and that we do have a “rule of law”, the shares are where you will experience the greatest leverage to the price of Gold. Absolute fortunes, in my opinion, will be made from small investments in the shares. It is of utmost importance to do your own homework and know “what” exactly it is that you are investing in. 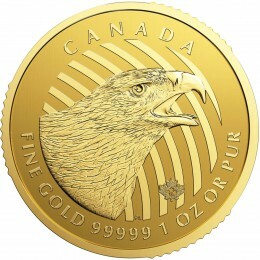 There are currently still many situations where Gold in the ground is selling for a mere $10 per ounce or even less, all you need is one such situation to come to fruition. Those who have poo pooed the shares will now in my opinion need to defend their positions while the shorts are scrambling for cover, this will be a difficult position to defend in the future in my opinion! 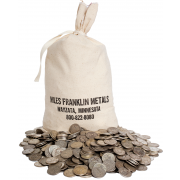 Miles Franklin clients and followers: Our suppliers have taken the necessary steps to avoid any counterfeit problems. Stick to one ounce American Eagles and Canadian Maple Leafs. The counterfeiting is confined to the larger BARS. Thank you for your article, really appreciate it. I am thinking about agriculture stocks, too. What do you think? Hi Jack, man must eat AND drink water. the two most basic necessities of life. 1. If gold were money then the Secret Service would be investigating it. You are correct, I am wrong…but do you understand what I was driving at?